We still have a long ways to go until Sam’s Club’s Black Friday 2019 sale arrives. But you can scroll down the page to check out the details from their last Black Friday sale to get an idea of what’s likely to come. Enjoy! Updated on Monday November 12, 2018: Sam’s Club Black Friday ad has just leaked! You can take a look at all 12 pages below — Enjoy! You’ll be able to shop the sale online at samsclub.com starting at 12:01AM EST on Thanksgiving day (November 22, 2018). Stores open the next day on Friday at 7:00AM. All prices in the ad are valid through November 25, 2018 or while supplies last, whichever comes first. What’s on your Sam’s Club holiday shopping list this year? Are you planning any big-ticket item purchases like a new fridge, washer/dryer, or mattresses? Let us know in the comments (you’ll find the comments section located at the bottom of this page). Updated on Tuesday, November 14, 2017: Sam’s Club just released their Black Friday 2017 ad — Check it out below! A few quick notes: You’ll be able to get a head-start and shop all the featured deals at samsclub.com beginning on Thanksgiving day, Thursday November 23rd, at 12:01AM ET. If you’ll be out of the house and going to your local Sam’s Club store then doors open this year at 7:00AM on Black Friday, November 24th (they are closed on Thanksgiving day). In terms of the offers, it seems like TV’s and electronics dominate most of the flyer. Some of the HDTV’s are priced as low as $278 with free shipping, like the Hitachi 49” 1080P LED TV. You’ve also got the Xbox One S 500G game console on sale for $189, a Canon T6 2-lens DSLR bundle on sale for $449, a GoPro Hero 5 Black Essentials Bundle on sale for $349, and the iRobot Roomba 665 on sale for $249.98. The sale runs through Sunday, November 26th or while supplies last. Good luck and happy bargain hunting! Updated November 2, 2016: Hot off the printing presses, we just got a hold of Sam’s Club Black Friday flyer that’s being prepared as we speak to be mailed out to their club members. We’ve posted all 12 pages below so check it out. Stores again are closed on Thanksgiving day but you’ll be able to get a head start and shop online before chowing down on some turkey. Stores open friday morning at 7:00am. All sale pricing will last through the weekend however the best deals are in very limited quantities are will likely sell out by mid-morning on Friday. There are no rain checks so if there is anything you really, really, really want to get, then don’t sleep in as you may miss it. – Samsung 75” 4K UHD Smart TV on sale for $1,998 (model #UN75JU641DFXZA). – Vizio 70” 4K UHD SmartCast TV on sale for $928 (model #E70-E3). – Vizio 60” 4K UHD SmartCast TV on sale for $548 (model #E60-E3). – Samsung 78” 4K SUHD Curved Smart TV on sale for $3,498 (model #UN78JS9100). You’ll also be able to pick up a new Vizio 38” 2.1 SmartCast Soundbar with Wireless Subwoofer for just $119.88 (normally $179.88). OK, you or someone you love probably want the new 2016 MacBook Pro with the new Touch Bar. We understand because it looks pretty cool, but at a price that starts at $1,799 just for the base 13” model, it’s ridiculous to spend that much, especially when the specs aren’t really that earth shattering. Thankfully Sam’s Club has a number of competitively priced laptops that will make you more than happy to switch over. That includes the 15.6” HP HD Notebook with 7th generation Intel Core i7 processor, 16GB memory, and 1TB hard drive on sale for $499 (normally $749). You also have a huge 17.3” HP HD+ Notebook with Intel Core i3 processor, 6GB memory, and 1TB hard drive on sale for $329 (normally $499). Starting a few days early on November 22nd, Sam’s Club will also be bringing out some super low prices on iPhone 7, iPhone 7 Plus, Samsung Galaxy S7 edge, Galaxy Note, and a few others. If it’s time for you to upgrade regardless of the network you’re currently on, then take a look at what they have to offer. Unfortunately the prices are not posted in their Black Friday ad scan you you’ll have to wait until the sale goes live to see what the deals are. Moving on here to all of you workout fanatics who love to track every calories burned and step taken, you have the Fitbit Charge 2 on sale for $129.88 (normally $149.88) and Fitbit Alta bundle which includes an additional band on sale for $99.86 (normally $129.86). You can also forget about that your 24 Hour Fitness membership if you want to and pick up a new ProForm 2.6 CHP Motor Treadmill, which includes a free iFit Link, for $399 with free shipping included (normally $499). In terms of cameras, you can finally replace at GoPro that you lost the last time you were jumping out of an airplane, whitewater rafting, backcountry skiing, or whatever else extreme sport you were doing with a new one. Sam’s Club will have the GoPro HERO4 Silver Action Camera Bundle, which includes a dual charger, additional battery, and 16GB SanDisk microSD card, on sale for $199 (normally $249). If you’re a more down-to-earth guy or gal, then the Nikon D3400 2-lens DSLR bundle is on sale for $499 (normally $799). In terms of gaming, you won’t find the new Playstation VR headset on sale yet, but you will be able to pick up a new Xbox One S Battlefield 1 Bundle or Xbox One S Minecraft Bundle with Bonus Controller for $249 (normally $353). They also have the Uncharted 4 Playstation 4 Bundle on sale for the same sale price, $249 (normally $299). And finally, everyone gets hungry while Black Friday shopping, right? Well then you can get the family pizza combo from Sam’s Club cafe for $13.98. That includes a hot 16” pizza, 2L Coke, breadsticks, and 6 cookies! Or you can pick up some new appliances and whip up something to eat at home. Check out the 27” gas grill for $199, the Nutri Ninja Single-Serve Blender for $49.98 (normally $69.98), and the Keurig K55 Coffee Maker for, well, we don’t know for how much because the price is apparently “too low to show”. Thanksgiving is finally here and it’s time to take a break work, relax, and eat some good homemade turkey and all the delicious fix-ins. Oh, and of course pick up some great Black Friday deals. If Sam’s Club is one of the stores you’re planning on visiting this holiday weekend, then you’ll have Friday through Sunday to pick up any of their deals, with the online bargains already available on Thursday. As we see at the other big-box wholesale clubs, electronics dominate the savings. This year you’ll find their 43” JCV 1080p LED on sale for just $199.88. That’s so cheap that it’s hard to believe anyone’s making a profit at this price, especially considering that they need to ship it from China. Other highlighted items in this year’s Black Friday sale include the HP Pavilion HD WLED 15.6” laptop that runs on a Intel Core i7-5500U processor. You can also get a $100-value Google Play gift card for $79.64, two-pack infrared heaters fro $99.98, a 8,000-10,000 watt generator for $599, and $140 off on a new Dyson Cinetic Big Ball vacuum. In terms of store hours, all locations are closed on Thanksgiving day. 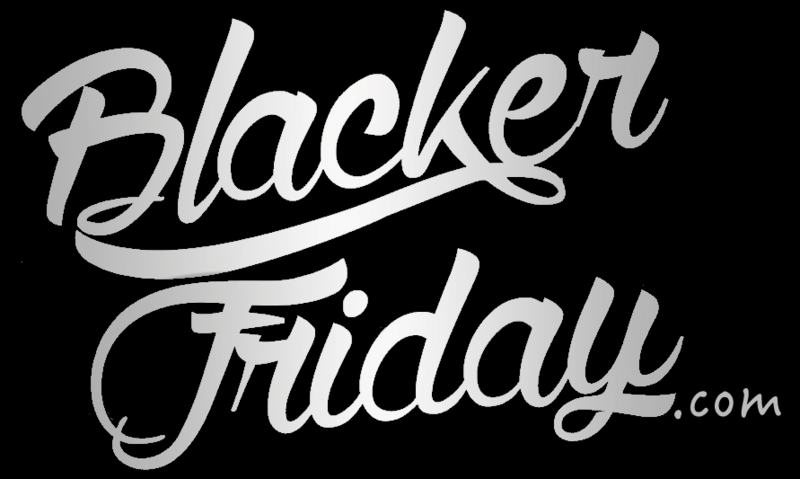 On Friday stores open early at 7:00am local time. You can find more sale details in-store or online. Just remember that there may be quantity limits to certain things and some items may sell out early. Sam’s Club: Helpful Links & More! All stores are closed but you can shop the deals online on Thanksgiving day. Find the nearest Sam’s Club store in your neighborhood.